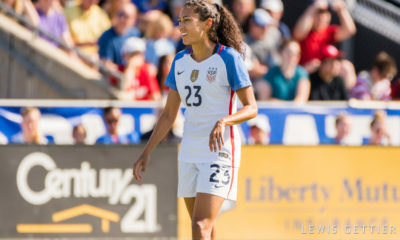 United States World Cup hero Carli Lloyd score in her first game back with the Houston Dash, but the goal was only enough to earn her team a point in a 1-1 draw with FC Kansas City on Monday at Swope Soccer Village. 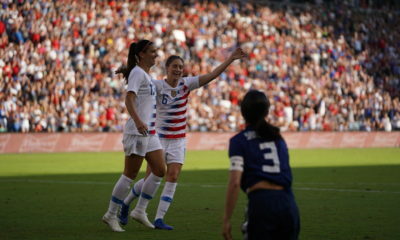 The match marked the return tp the National Women’s Soccer League for each team’s United States women’s national team players, who won the 2015 Women’s World Cup on July 5. Lauren Holiday, Heather O’Reilly, Amy Rodriguez and Becky Sauerbrunn all started for Kansas City in their return; Morgan Brian, Meghan Klingenberg and Lloyd all started for Houston. Dash defender Toni Pressley put the ball into her own net for FC Kansas City’s equalizer in the 55th minute. 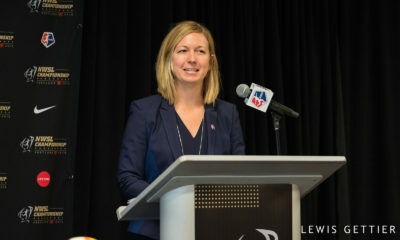 Lloyd gave Houston the lead against the run of play on the stroke of halftime, hitting relatively slow-moving free kick from 25 yards out that FC Kansas City goalkeeper Nicole Barnhart was unable to keep out of the net. 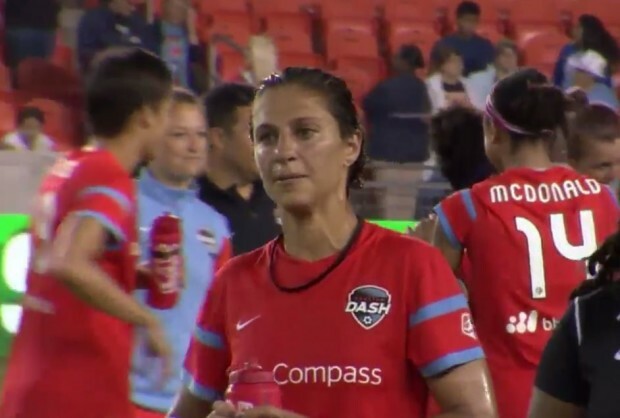 Kansas City had dominated the first half, forcing Houston to give up six corner kicks and threatening Dash goalkeeper Erin McLeod’s goal on multiple occasions. 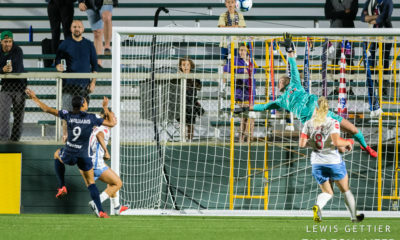 Rodriguez rung the crossbar with her header on a cross from O’Reilly in the 29th minute, eight minutes after McLeod made a sprawling kick-save on Holiday’s close-range effort. O’Reilly had fed a ball in behind for Holiday on the counterattack. O’Reilly was active all night on the right flank, and it paid off in the 55th minute. FC Kansas City defender Leigh Ann Robinson brought ball up the field and fed it right to O’Reilly, who sent a low cross to the near post toward Holiday. Pressley, retreating back toward her own goal, attempted to sweep the ball away from inside the six-yard box but slammed the ball into the roof of her own net. 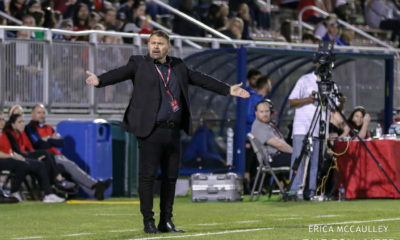 Momentum stuck with FC Kansas City after the goal, but the defending NWSL champions couldn’t find a game-winner in front of the over-capacity crowd of 3,557 fans. McLeod denied Holiday 1-v-1 with another kick-save in the 62nd minute, and the Canadian goalkeeper came up big again eight minutes later, tipping O’Reilly’s left-footed effort just over the bar. 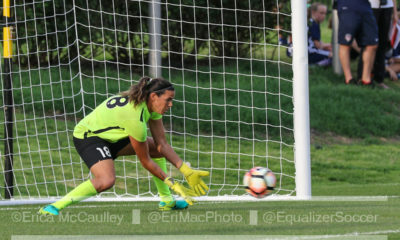 Substitute Liz Bogus ensured the home side got at least a point when she cleared the ball off the line in the fourth minute of second-half stoppage time, following a chaotic scrum in the box on a corner kick. FC Kansas City remains in the fourth and final playoff spot with the draw, while the Dash are four points back in sixth.